ORGANISERS of Kalamunda’s popular Zig Zag Festival have cancelled the October event to make improvements and attract helpers for its return in 2018. 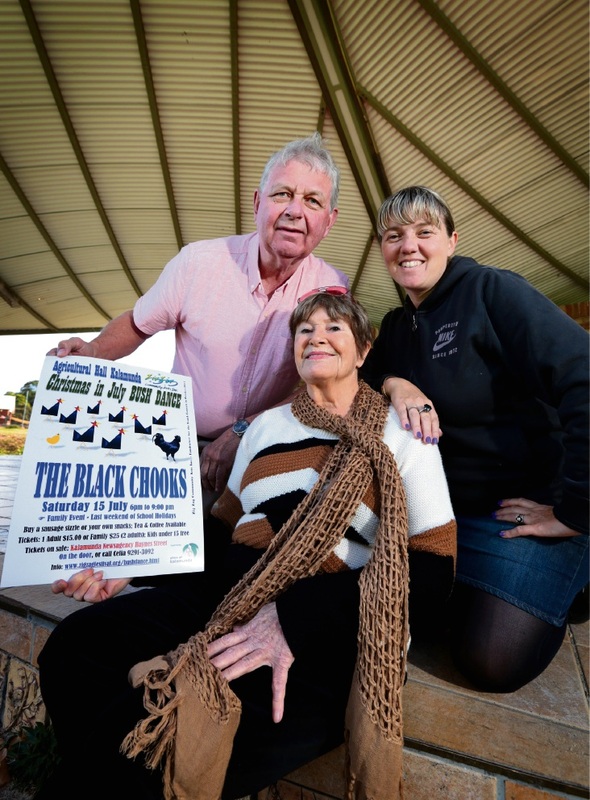 Co-ordinator Celia Cheffins said Zig Zag Community Arts was working with the Shire of Kalamunda to grow the festival, which has been cancelled only three times in 32 years. She said they were appealing for committee members and volunteers with numbers too low to drive the festival this year. “We do know we have the support of the community but the difficulty is just getting and keeping the people together that will actually help put it on,” Mrs Cheffins said. “Numbers go up and down but the past couple of years they have been getting lower and this year we have a few people travelling. She said volunteers helped set up venues, work with media and in other roles to keep the organisation going. Zig Zag Community Arts members are skilled in community development, project management, music, teaching and youth work and remain active and committed to developing community arts in the area. Shire of Kalamunda President Andrew Waddell said the Shire was a strong supporter of the group and continued to be a major sponsor of the festival. “Our team have been meeting with volunteers at Zig Zag Community Arts and we are assisting the organisation to deliver their usual workshops throughout the year and build capacity over 2017 to once again deliver a bigger festival event in 2018,” he said. “We acknowledge the ongoing work of the core committee who have dedicated thousands of hours of time to the festival over three decades. Funding amounts for all events, projects and services for the next financial year will be confirmed when the 2017-18 budget is adopted by council later this month. “I encourage community members who love the Zig Zag Festival to consider joining the fun loving festival crew and help bring back this much-loved community festival in 2018,” Cr Waddell said. Mrs Cheffins said the returning festival would likely include a new format and partners to help run it. “It’s going to hopefully be a larger festival, one that may actually go into Haynes Street and take in some of the central business district as part of the venue,” she said. “It will be after the evening usually ends… we’ll take the festival into Haynes Street and have a more adult party that would go to about 8pm and some entertainment as well. The Christmas in July Bush Dance at the Kalamunda Agricultural Hall on July 15 is the next Zig Zag Community Arts event on the calendar. For more or to volunteer, call Mrs Cheffins on 9291 3092.